It is well known that different sort of vitamins and minerals are required in growth of our body. If our body gets sufficient vitamins, minerals, proteins, it is obvious that there will be proper growth of every body organ. And nails are not an exception. Besides this, it also depends on what type of the water, soap, detergent, etc. you utilise in daily routine, that impacts the health and quality of the nails. If your soap and detergent contains acid or such elements that are harmful to nails, it will obvious that it will prevent growing of nails. People having the habit of biting nails prevents in growth of nails. Further, unnecessary pressure or stress should not be put on nails by picking anything with the help of nails or plucking with nails. These things should be totally avoided. 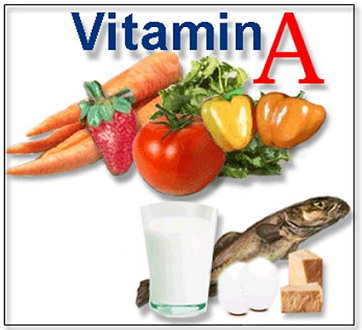 Vitamin ‘A’ – If our body gets sufficient vitamin-A, then there will be proper growth in the nails. This vitamin contains antioxidant that helps in removing free radicals that cause damage in the body, can be to nails as well. The foods that are rich in this vitamin are: sweet potato (cooked), carrots, spinach, sweet red peppers, apricots, apple, eggs, fish, liver, milk, etc. 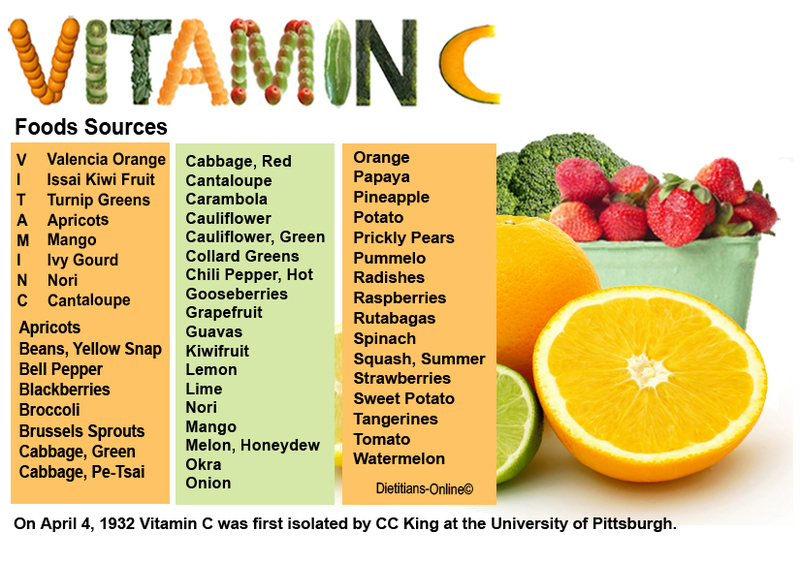 Vitamin ‘C’ – Even this vitamin is very essential in growth of nails. 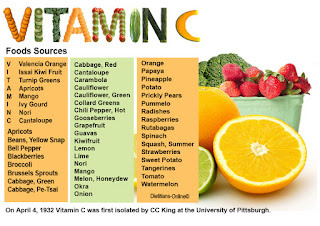 Vitamin C helps in maintaining the good health of nails. 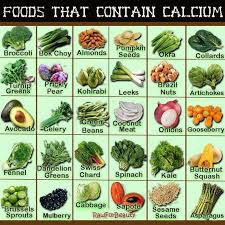 The foods that are rich in this vitamin are: dark green leafy vegetables, red bell pepper, cauliflower, Brussels sprouts, guavas, strawberries, papaya, etc. 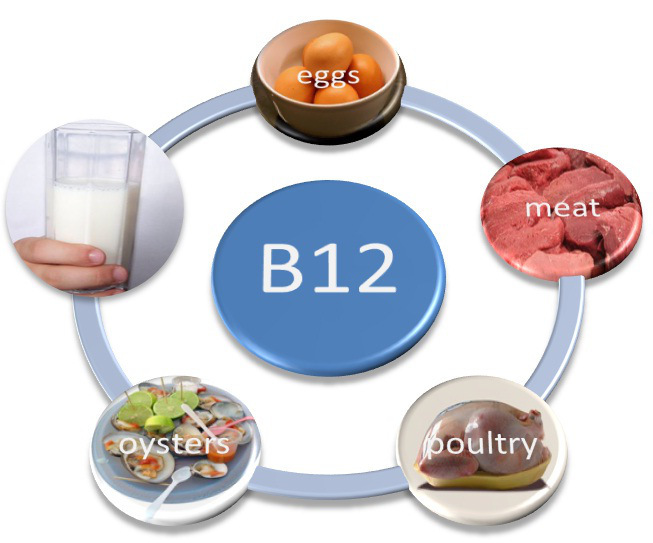 Vitamin ‘B12’ – In case your nails are dry and seems black and/or dark, it proves that there is deficiency of vitamin B12 in the body. This vitamin is available in animal foods such as meat, fish, poultry, eggs and dairy products. In case you are vegetarian, you can opt for Vitamin B12 capsules. Iron – Sufficient iron in body can result in proper growth of nails. 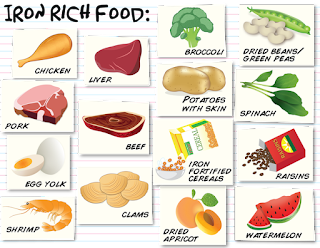 The food that contains iron are: red meat, poultry, seafood, beans, apricots, dark green leafy vegetables, etc. Zinc – A deficiency in zinc can lead stunted growth, skin lesions and prevent nail growth. Animal foods are better sources of zinc than plant foods. 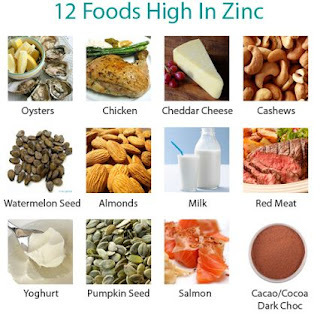 Other foods that are rich in zinc are spinach, cashews, cocoa and chocolates, etc. Magnesium – Magnesium is a vital mineral and its deficiency in body may also prevent in nail growth. 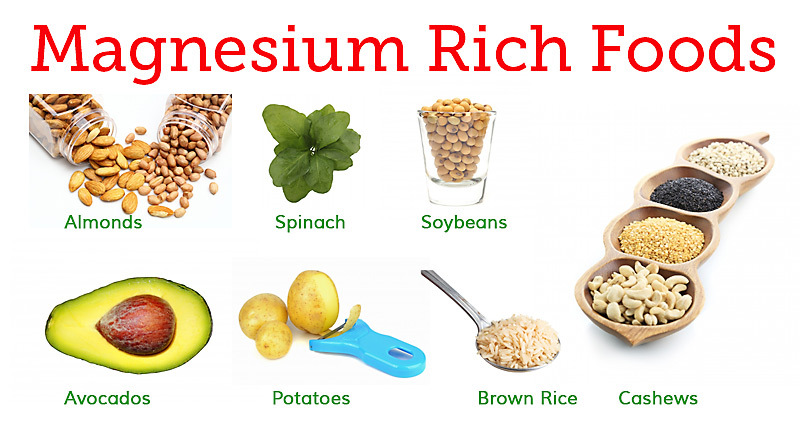 The foods that are rich in magnesium are: dark leafy greens, nuts and seeds, fish, soybeans, avocado, bananas, dark chocolates, etc. Apart from the proper intake of vitamins and minerals, the quality of nails also depends upon the quality of products used on the nails. For example the low quality nail polish used on nails or the low quality nail polish remover used to remove the nail polish can results in hampering in the growth of the nails. Hence it is essential to use good products to maintain the good quality of the nails. Are you suffering from digestion problems? Skin, a largest body organ, is not only for wrapping the other sensitive body organs (heart, liver, etc) but also for playing the role in biological life process. Epidermis which is the outmost layer of skin constantly renews itself with new cells. Formation of new cells and its quality depends on both what we feed ourselves as well as what touches our skin. Skin unlike other organs is exposed to the outer world and so we should take extra care to keep it fresh and active all the time. Effects of our mood can be quickly seen on the skin as it is closely connected with our nervous system. Hence our skin glows when we are happy and turns pale because of depression. Exam tension or interview anxiety or fear about how the conference meeting would end shows clearly on the skin. Actually it is a vicious circle. Our emotions, beliefs, thoughts and life style can either make or break our skin. Skin problems like acne, psoriasis, eczema or dermatitis cause the emotional disturbance further affecting the skin. It goes round and round. Skin problems do irritate us and is the major cause of inconvenience. However don’t allow your physical visible problems affect psychological terms. Instead try to find out the problems and resolve them. • To tackle it we need to understand and try to resolve the conflicts, fears and depression in life in the positive way. • Take care of biological needs - eat the balanced diet, keep your body hydrated, exercise, treat yourself with new clothes once in a while, take a break from work and go for the picnic. • Build your emotional health – nourish your family and friends with love, respect the elders, protect the young ones, socialize with positive minded people. Discuss the problems faced with the knowledgeable person and strive for the solutions. • Surpassing the ill-feeling’s like anger, revenge, etc is another cause of depression which ultimately speaks out loudly to the world in the form of pale skin tone. On the other hand, choosing to shout and throw all the reactions like slapping etc, would lead to red angry puffy face. Both outward and inward anger are harmful. Fulfilling the fundamental emotional needs helps in the long way to deal with anger and anxiety in life. • There is a thin line between what we need and what we want. To live the stress free life, identify this line. Set up the boundary and limits. Follow them religiously. • Understand the purpose of life with yoga and meditation. It helps in reaching the inner you and will make you aware of your deepest needs. • Taking proper rest in this hectic life cannot be ruled out to maintain the youthful skin. Sleep for 8 hours a day. Take a power naps as and when you require. • Choose the products that touch your skin carefully and the ones that suit your skin tone – Make Up, Body Lotions, Skin Creams, Moisturizer, Sun-screen, etc. Be healthy and develop self esteem. Hear what your skin tells you, concentrate on the needs, provide them what is required and see with the smiling skin how all the problems run away. How much water is enough to drink? Should we talk about dieting in front of children? Are you desperately waiting to lose your weight? Do you think you are overweight? You want to lose those extra pounds. For that you fixed an appointment with the dietician. After the long discussion on your background, likes, dislikes, eating habits, lifestyle and various other topics she has boiled down to the diet that will work on your body. She says this diet is made only for you. Wow it feels so great, right? On way back to your home you are thinking about how smart the dietician is. Your face is glowing and eyes are widely opened. And you are optimistic about the diet she has provided to you. You just cannot wait to start the diet. You dream of looking slim and getting toned as early as possible. Good try it out. But do not talk about diet in front of children. A diet language used in front of children can have the negative impact on the child’s mindset. Imagine saying dietician has asked me to have toast of brown bread without butter. Though you are not saying anything to the kid, but her mind would wonder why his / her mother is having another kind of bread and why without butter? She will always wonder why mother is having different food and other family member is having different food. The impression of these questions would remain in his / her mind for entire life. She may also try to avoid butter whenever possible because children usually imitate their parent. But is this good? No. One because children require more fat. Physical activities that are done by children are not comparable by elders. Hence they require more fats than we do. Second, various questions on their mind like the ones mentioned above leave the negative impact on their mindset. Constantly using the words like “I am fat” or “I want to lose belly fat” in front of children will result in building the negative body image in the child’s mind. Do not discuss or focus on weight issues in front of children. Stop labeling foods as bad or junk food. Stop discussing about problems like binge eating or stress eating. Stop discussing and complaining about weight problems in front of them. Instead of talking about diet, calories and weight issues concentrate on healthy eating food habit when children are around. However don’t avoid any questions that are raised by children. Give them answers honestly. This would be the good time to explain the difference between being healthy & strong and lean & week. So if you are following certain diet schedules please be extra careful and avoid using the diet language in front of children. When they are around, talk about strong body not about lean body. Develop the healthy relationship with food, love your body and convey the same to the children. Monsoon is in full swing. Like everyone else, I too love rains. It has the amazing smell which makes the environment romantic every time it pours. I love the feeling of droplets falling on my face when I sit beside window watching the beautiful raindrops falling on the ground. Rain is just amazing. But with cooling and soothing environment, it also brings with it some problems. 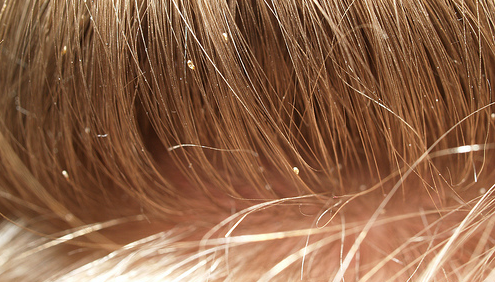 A problem of head lice is common during the rainy season. The problem of head lice is mostly faced by school children and the ones who are long hairy beauties. When scalp and hair gets wet during the rainy season, it brings the most annoying problem of head lice. Head lice can occur anytime and spread fast. This is the reason it should never be avoided or left untreated. Today, I will list down home remedies to treat head lice. Hygiene: First and foremost is to maintain hygiene. Because of the cool weather, sometimes we avoid to wash our hair. This is not good practice. We need to wash our hair regularly even during monsoon season to maintain the good health of hair. More importantly when we get wet in rains. Do not forget to clean the scalp thoroughly after enjoying the rains. Also clean the comb, bed sheet and pillow covers regularly. Clear lice and nits: Because of their nature of multiplying quickly we need to be very careful and clear it whenever it appears. Do not wait for the weekend to get it cleared. Check and clear your hair of all the lice and nits as soon as it appears. Use combs that help in removing of the lice. Do ask your mom or maid to check if there are any left-over lice. Oiling: Oiling is one of the most important thing for your hair. It is food for our scalp and hair. Do oil your hair at least once in a week if not more. Pamper yourself with oil massage at your favorite salon or ask your mom to do the hot oil massage. Garlic Treatment: Grind 10 – 15 cloves of garlic to the fine paste. Mix this with 1 tsp of lemon juice. Apply this mixture on the scalp and leave it for 30 minutes. After that rinse it thoroughly with anti lice shampoo. Make use of lice comb to get rid of all the lice and nits. Apply the mixture of lemon Juice and baking soda for 3-4 hours. Wash it and use the lice comb for removing the lice and nits. Another remedy is extracting the juice from 2 – 3 onions. Mix it with white vinegar. Apply all over your scalp. Wrap your hair with shower cap. Leave for couple of hours and then wash it. Savlon is also effective in removing the lice and nits. Apply it from scalp to roots. Wait for 20 minutes and wash it with shampoo. Try this for 3 to 4 times for effective results. Sharing is not caring: If someone in the family suffers from lice problem, do not share her belongings like comb, pillow, etc. It will result in spreading the lice to others. Hope this article reach to the ones who are affected with the problems of lice and nits. Do you have any other remedy? Skin is the first exposure of us to the outside world. Skin, the most important part of our body, gives the first impression to others. And as it is said first impression is the last impression, we do not mind spending tremendous amount of our time and money to maintain the good and healthy skin. We do spend on cosmetics and on other essential skin care products. We are particular in regular visits to beauty parlors. Yet sometimes we face the problems of pale tired damaged looking skin. Are you also suffering from this problem? One liner solution is – Get back to basics of skin care. For detailed solution, read on. Today I am going to discuss about most simple yet effective ways to take care of our skin. Drink Water. Drink enough of water on the daily basis. Read this article to find out how much water is enough water. Take proper rest. Quality sleep is more important than just sleeping. Exercise. Move baby move. Physical activity helps to give beautiful fresh looking skin. Eat healthy food. 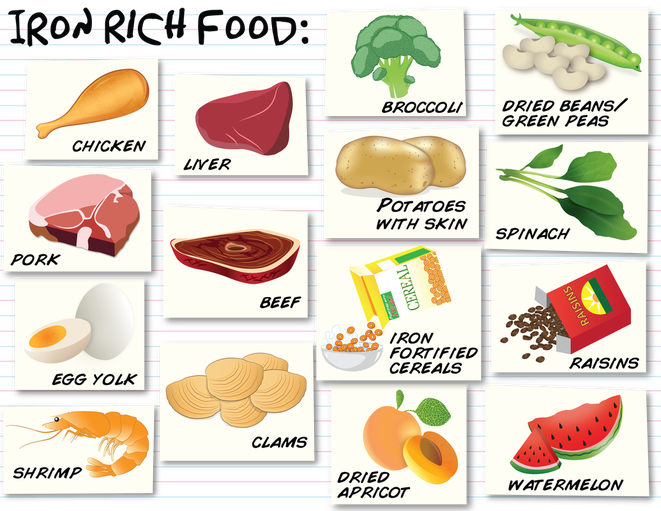 Eat foods that are high in Vitamins and Minerals. Specifically, Vitamin C, Vitamin A, Zinc, Iron and Fiber are good for radiant skin. Include fruits and vegetables in your daily diet. Not only you should avoid smoking, but also you should avoid standing in front of the one who is smoking. Avoid being at the places of air pollution. If it is unavoidable, cover your skin with the help of scarf. Avoid sleeping without removing the make-up. Remove it no matter how much tired you are. Avoid exposing your skin to sun. Use good sunscreen lotion. Apply it at least 15 minutes before exposing to sun. Re-apply every 3-4 hours. Wear sunglasses. Cleansing – Most common advice you would have heard or read whenever you check out on skin care – Proper cleansing. Cleansing on the regular basis helps in removing dirt and make up. Very important to wash your face before going to bed. You can make use of raw milk or curd. Apply on your face and leave till it dries off. Then cleanse it with warm water. Once you clean your skin, it helps your skin to breathe. Regularly doing this will give your skin the natural glow. Exfoliate – Exfoliate helps in removing dead cells from the skin. It is important to exfoliate your skin once in a week in order to keep it fresh and clean. Exfoliate skin will not have the problems of blackheads, whiteheads and acne. However do not indulge in over exfoliation. Over doing will result in dry skin. Moisturize – Not only we have to keep our skin internally hydrated but we have to take care of keeping our skin hydrated from outside as well. Moisturizers helps in keeping the skin hydrated externally. However oily skin beauties often are in the dilemma for using moisturizers. What I recommend is to use moisturizer once in two days and apply raw powder after the moisturizer to avoid sweating too much. Few minutes spending on daily skin care will give you soft and supple baby like looking skin. Do take care of your skin and make it healthy because healthy skin gives the confidence and develops the positive thinking. Do share with us what are your back to basic skin care tips. 1. You should write in your diary about your goals in details with time schedule so that it reminds you every time as the day passes. Define your goals; segregated into smaller goals with timelines, enabling you to accomplish it on regular basis. 2. During the time period in achieving goals, you should list the things that puts you in trouble or restrict you or that are complicated and then try to solve those problem individually by study or with others help. 3. You should be very much aware what rewards/benefit you will get in achieving your goal and that will automatically motivate you. 4. Try to share your goal with your trustfully colleagues, friends and family members, who are experienced and try to take their suggestions that will definitely motivate you in being successful. ‘Do Your Best’ slogan: It is well known that by saying yourself or to the others to Do Your Best is an automatic method of motivation. This will not only encourage you in doing difficult things but also give you energy for timely completion of the project. Challenges are opportunities: People, who are already motivated in one way or the other, would like to have challenging activities in which success is uncertain but with their practice, experience and willpower, they still try to finish the task as they feel it is an opportunity to them. Be proud: In spite of struggling with motivation due to any reason, try to think of past achievements by which you had been motivated and feel proud of it. In doing so, you are likely to remain motivated, even in tough times. 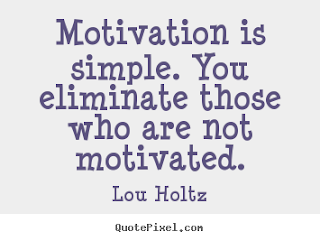 Be intrinsically motivated: When you are doing something, you need not to worry about what people will tell you on your success, simply be intrinsically motivated and go on doing the things for better results. Fight against fear: If you are a failure in one way or the other, you will automatically be de-motivated. Try not to be very concerning about your failure. Failure and Success are both required to understand the purpose of life. 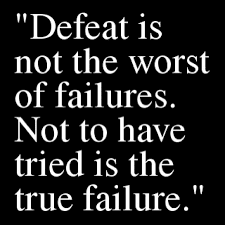 Fear of being failure will restrict you to do things which will result in no success anytime. If you keep your fear aside and give it a try there are always 50% chances of failure but there are 50% chances are also there to get success. You will be motivated once you start thinking positively and try to learn from your mistakes. Keep in mind that most successful person in the world, could be sometime failure in few things. Remove distractions: Sometimes, it may come to you mind that what others are doing are more interesting than what you do. Try to remove these distractions from your mind to be success and motivated in what you are doing. For instance, if you are busy in doing something and getting distracted by receiving messages on your mobile then just switch-off your mobile and keep it at such place so that it is not visible to you. By doing this, you will be motivated in doing your work. Competition: Competition is also one method to get motivated. Few people are having habit of doing something only when they see other people are doing it. If such things are matching your habits, then be motivated in following those habits. Break the routine: When we do things in the same manner day after day there are more chances of getting bored. Hence the change and variety is very important to break the monotonous life. Review: Reviewing your goals, achievement and failure is another key way to keep you motivated. Reward yourself for every success and learn the mistakes you did that made you fail. By doing this your enthusiasm will be boosted. Keep away from disappointments and negative feelings: It is but natural to be upset if you are not achieving your targets within the time frame. However instead of getting discouraged, try to devote your energy on how you can work on improving that will give the results. Diverting your energy on the positive things is the sure shot way to be motivated. 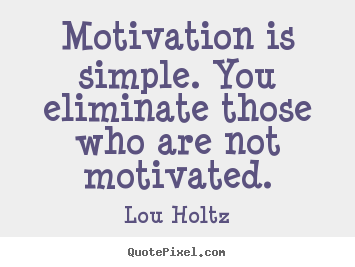 Apart from all above things, eating healthy, daily exercise, not having excess caffeine, smooth sleep, positive thinking, etc are few things that keep a person motivated.